This week, London College of Fashion presented Fashion Means Business 19, a showcase of work from across the Fashion Business School’s 17 under and postgraduate courses. 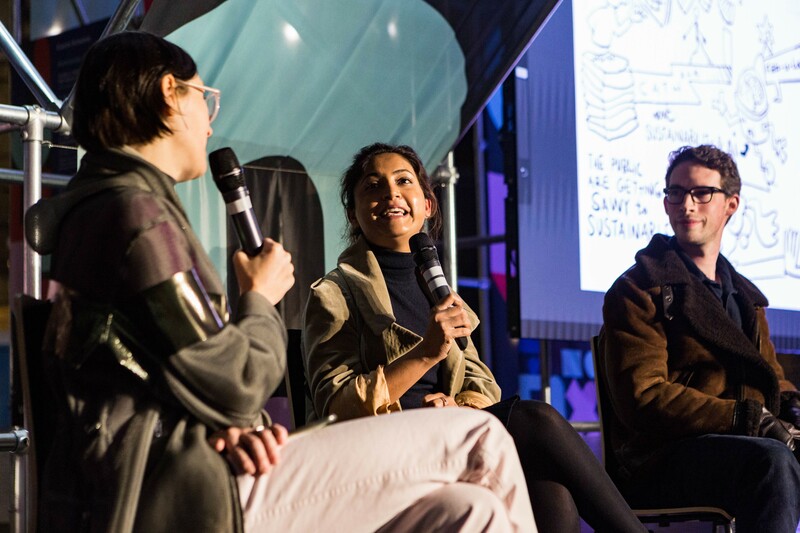 Held in partnership with Old Spitalfields Market, and supported by CPL Aromas, the event explored why ‘Fashion Means Business’ through a series of interactive labs, talks, and digital displays. The exhibition was divided into 4 sections - People, Planet, Profit, and Purpose – with each area discussing the current, and future state of fashion business. People looked at Creative Hubs, Radical Openness, Disruptive Innovation, and Reputation Management. Planet discussed Strategic Collaboration, Real-Time Offerings, Meaningful Analytics, and Intelligent Systems. Profit focused on Radical Openness, Access Anywhere, and Multi-channel Attention. Purpose examined Social Capital, Meaningful Experiences, and Sharing Solutions. Within each of the sections students and graduates presented their final major projects, collaborative unit outcomes, and brand project work. Day 1 offered a Plug and Play digital experience for some of Old Spitalfields Market’s 20,000 daily visitors. The innovative technology that powered the interactive content was provided by PIXILABS using their Blocks technology. This allowed us to showcase over 100 students’ work in a creative and engaging way. On Day 2 we hosted future LCF students alongside pupils from a number of east London primary and secondary schools. Attendees created their own lip-glosses with our Cosmetic Science team, learned about eye tracking with our Fashion Psychology course, and interacted with the live projection mapping. In the evening selected fashion industry guests joined us for a panel discussion on ‘The future of social entrepreneurship - is this a viable new business model?’ Chaired by LCF alumnus Jason Beckley, the panel comprised Michaël Miramond, Vice President - Business Development - Retail, Luxury and Consumer Product Industries at IBM Corporation; Rebecca Robins, Global Chief Learning & Culture Officer at Interbrand; and LCF Textiles alumna Nelly Rose. Topics included ethical production, listening to consumer needs, and enriching the lives of the communities you work in. The final day saw a live bootcamp from our EMBA students. The teams presented their final projects and allowed the audience to comment on, vote for, and mark their work. The closing panel discussed ‘Technology and the future - how are industry norms being disrupted?' Tech innovator and writer, Brooke Roberts-Islam hosted Creative Technologist and Innovation Strategist Aaliyah Ansari; Joseph Kearins, Strategy Consultant Global Consumer Industries Centre of Competence at IBM; and Ian Vernon, Head of Technology at AWTG. 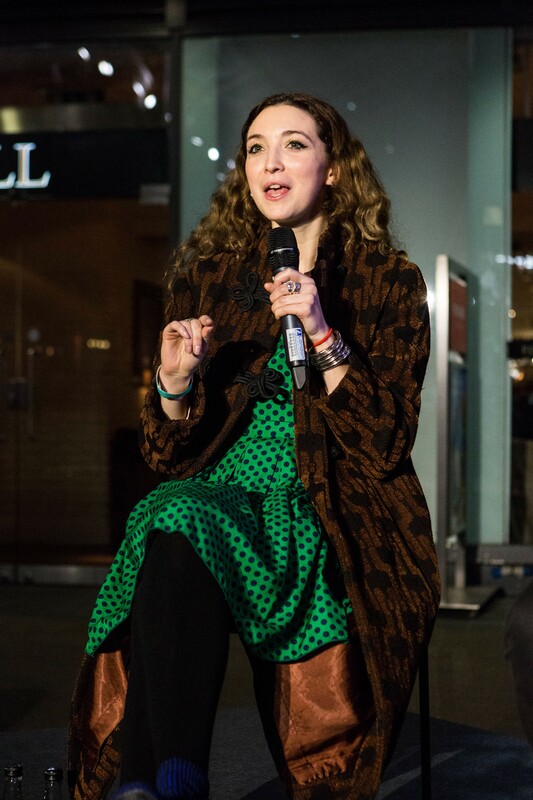 The engaging talk discussed the future of Artificial Intelligence, the impact of technology on creativity, blockchain, what 5G connectivity can bring to the fashion industry, and the big question www.willrobotstakemyjob.com. The panel closed with thoughts on the next big tech innovation would be for fashion. Answers included 5G connectivity, more transparency, and a greater focus on sustainability. 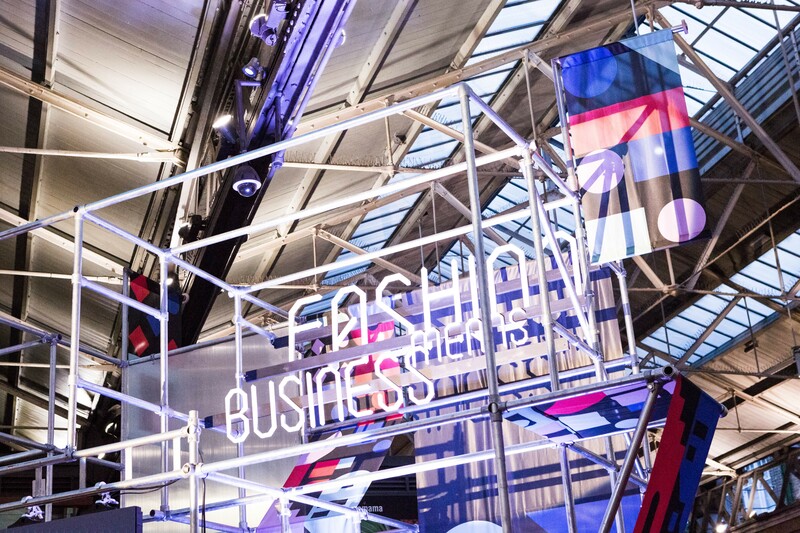 By showcasing the breadth of talent in the Fashion Business School, Fashion Means Business 19 highlighted the behind the scenes impact business plays in the fashion industry and gave a public platform to LCF’s future industry leaders. With thanks to Old Spitalfields Market, CPL Aromas, PIXILABS, LiveIllustration.co.uk, and Sejuiced.